- This is it: The stunning conclusion to 'DEATH OF THE FAMILY'! - Who lives? Who dies? Who laughs last? 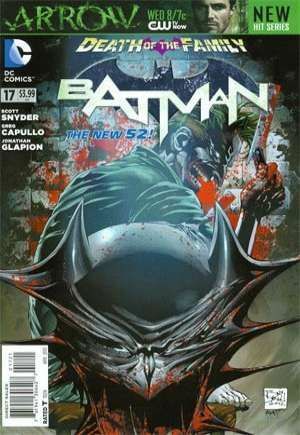 Find out as Batman and The Joker face off one last time! This issue is also offered as a combo pack edition with a redemption code for a digital download of this issue.